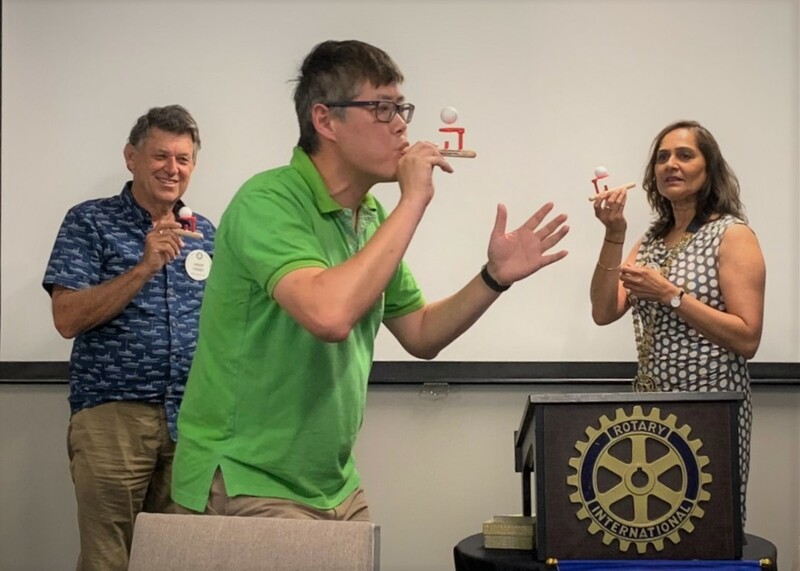 Harbourside Rotarians gathered their 1st Club meeting after holiday and enjoyed the fun game with guests from Auckland South Club in supporting the Fiji Oxygen Project. More than a toy for childhood, the Floating Ball Set symbolised the experience for lack of Oxygen to associate the needs for devastating kids in Fiji as averagely 200 of them aged under 5 could not be celebrating 6-year-old birthday by new born illnesses in the past few years. President Ashiwini from Harbourside gave accolades of a great initiative by Auckland South Club also a strong motivation to engage many clubs to participate by either fund raising, volunteering or social buzz for promotion.